A seven-year-old Brooklyn girl is safe thanks to a fast-acting neighbor who came to her rescue. 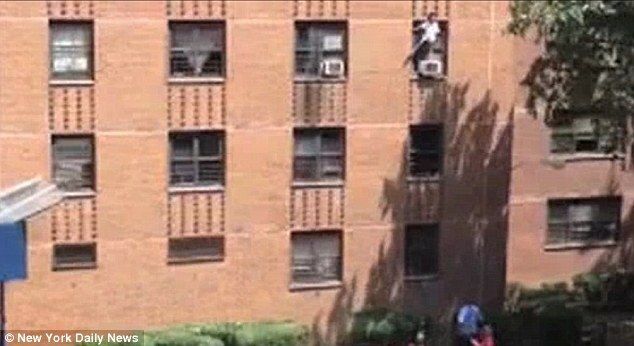 Keyla McCree crawled out of her window and was dancing and singing on top of an air conditioner before she tripped and fell from the ledge of the Coney Island Houses building. 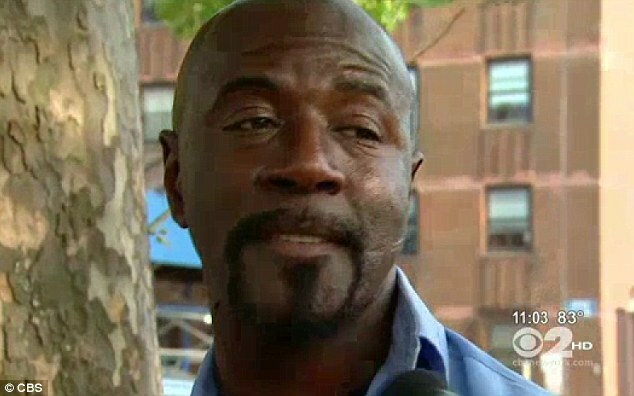 MTA bus driver Steve St Bernard, 52, was waiting below with his arms outstretched and managed to catch the girl and save her life. Witnesses told police that the autistic girl had pushed aside the accordion closure that held the air conditioning unit in her apartment. She crawled out through the empty space around 2pm, astonishing onlookers with a song and dance routine three-stories high. In a video of the daredevil girl, you can see her standing on one leg and moving about on the ledge with dozens of people gathered below her. St Bernard, who just got off work, heard cries of concern and rushed to the scene. ‘There were all these kids yelling,”the little girl, the little girl,”‘ said St Bernard. In the minute long video, St Bernard positions himself under the girl, trying to find the right spot in case she fell. The father of four said that one of his own children is about her age. 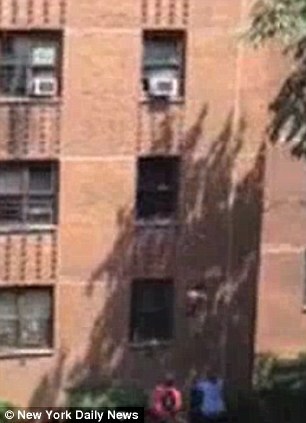 ‘I ran inside and called 911, but by the time I hung up she had fell,’ said neighbor Latasha Marcus toCBS. The girl fell right into his arms. 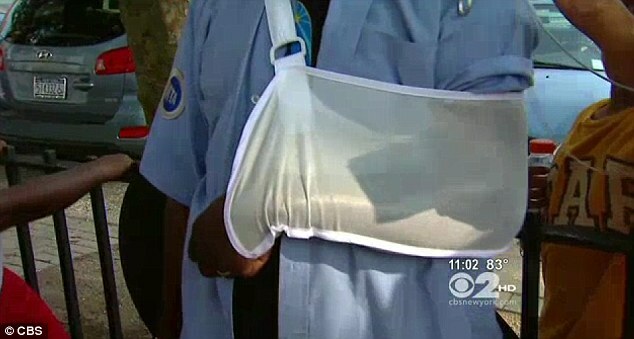 Both were taken to Coney Island Hospital, where St Bernard was treated for a torn tendon in his left bicep. 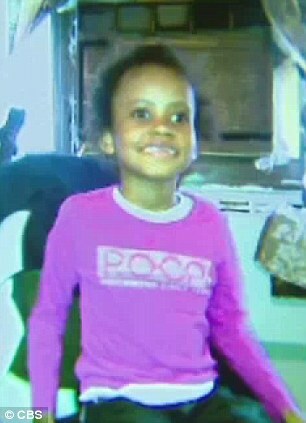 Both the NYPD and the Housing Department investigated the issue to make sure the girl is being properly cared for. New York City requires all apartments with young children to have a window guard installed, except when there is an air conditioning unit securely placed in the window. The barriers must not leave an opening greater than 41/2 inches in homes with children under 10. Mrs McCree said that she had just bought the air conditioner and installed it on Sunday. She had put Keyla down for a nap and was watching her other child when the incident happened. ‘I heard somebody banging on the door, stating that my daughter was outside on the air conditioner, but I had no idea what was going on because I had my son,’ she told CBS. She said the air conditioner’s accordion panels were supposed to be secure, but the machine she purchased was damaged and dangerous. 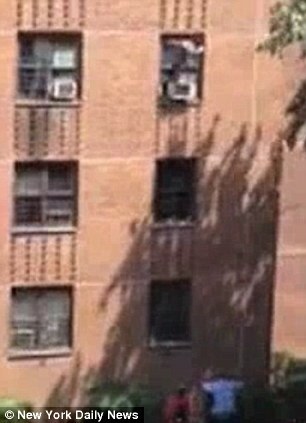 ‘They sold me a defective air conditioner,’ the mother said. She removed the device after the incident. Authorities said that no charges will be pressed against Mrs McCree.